April has been a month of great changes and of course, tons of great opportunities for collaborations and tastings. I attended a record number of 14 tastings last month! I was so excited to find out that this Washington, D.C. favorite was coming to Los Angeles! Astro Doughnuts and Fried Chicken recently opened in the heart of downtown and I had the chance to attend a media preview before it opened. 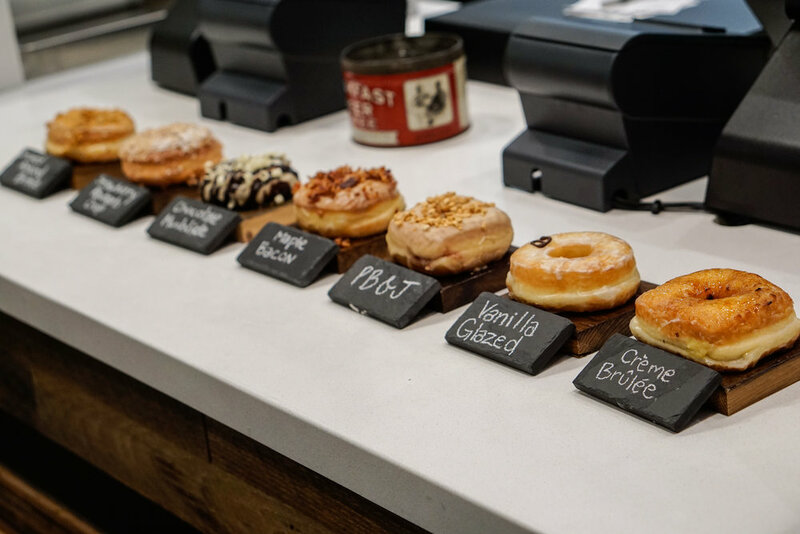 They offered some amazing donuts, including Creme Brulee, Smoked Almond Brittle, Strawberry Rhubarb Crisp, Chocolate Mudslide, PB&J, Vanilla Glazed and Maple Bacon! We also tried some of their Fried Chicken Sandwiches. They tasted great and it was awesome to be able to customize the buns and sauces! Chomp Eatery & Juice Station invited me to come try their Unicorn Melt in celebration of Grilled Cheese Month. The Unicorn Melt was so colorful and picture-worthy. It had four types of cheese in it: provolone, parmesan, fontina, and asiago cheese. The cheese melted so perfectly together and I enjoyed all of the flavors. We also tried the Chomp Fries, the Chomp Wrap, and Strawberry Lemonade and Watermelon Lemonades, which were in bottles shaped like bottles. It was a very unique and delicious meal, and it happened to be located next to one of my favorite donut shops, DK’s Donuts! I had heard many great things about the burgers and was so happy to receive an invitation to check this place out! I was very impressed with the food we got, including the Habanero Burger, Roaring Forties Burger, and XL Fish Taco. 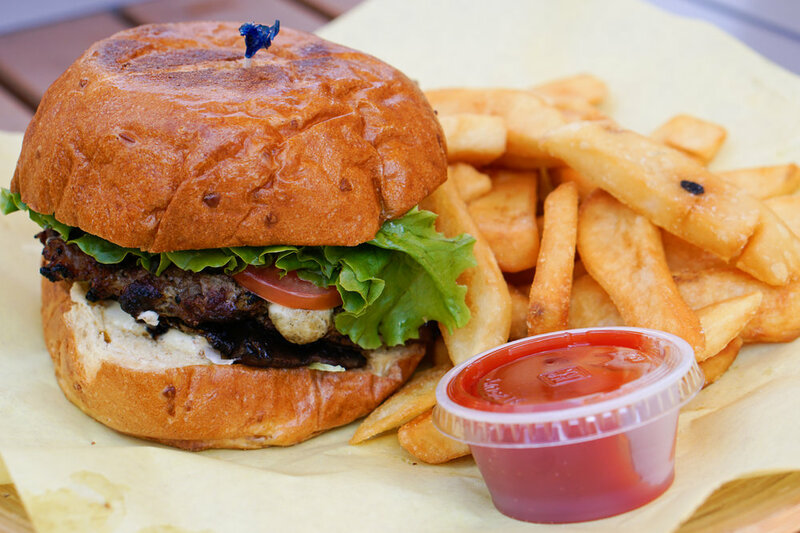 The Roaring Forties Burger was my favorite since it had portabello mushrooms and blue cheese in it. I also loved the lemonades that we tried, including the Purple Palmer and Strawberry Basil Lemonade. I am definitely stopping by again for those burgers! I loved the donuts from Crumbs Doughnuts! This would be one of the few donut places I can personally recommend to friends! We came to sample their donuts and we were so impressed with the quality in all of their donut flavors. The pink and blue Galaxy Doughnuts were orange flavored and the black and white Marble Doughnuts were hibiscus flavor. I think these were so photogenic and so unique! Our favorites were the Marble Doughnut and the Matcha Oreo Crumbnut! The crumbnut was equivalent to a cronut, and had the most perfect flaky texture to it! We were invited to this newly opened restaurant to check out the fried chicken sandwiches and other menu items. We ordered Chicken Sandwiches, Shaken Fries, Wings, and Fried Chicken Salads. Everything was very impressive! I got a Spicy Chicken Sandwich and it was definitely very spicy and flavorful in each bite. The Wings came in three flavors: Original Crispy, Spicy and Caramel Soy. From everything I tried, I was very happy with how great everything was. I loved that they had their own fun sauces, like the Comeback Sauce, Parmesan Ranch and Wrong Sriracha. 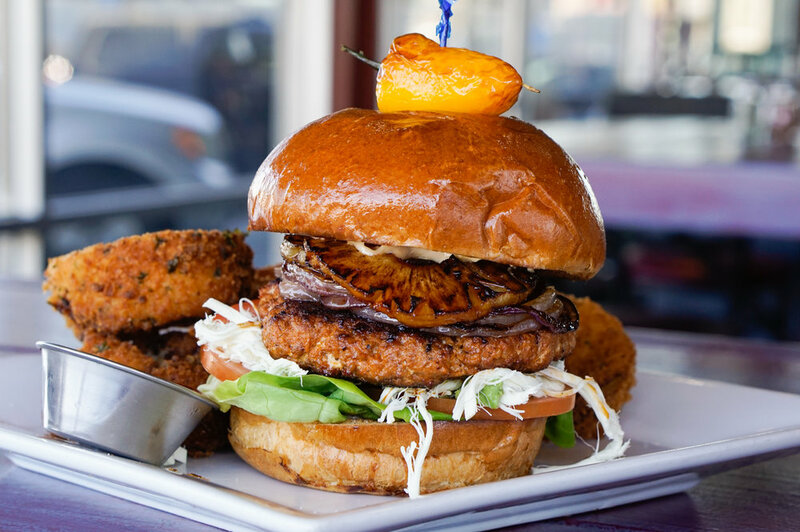 We had heard of Pistachio Kitchen and because it is located in the San Gabriel Valley, I knew the food would be familiar and delicious. Pistachio Kitchen had a lot of Chinese and Vietnamese dishes and drinks that reminded me of the Hong Kong cafes I visited when I was in high school. We ordered appetizers and a few combination noodle and rice plates, which gave us plenty of variety for our photos. From the various dishes I sampled, I enjoyed everything, especially the dishes with gravy and curry in them. I also ended up getting my favorite item, Shaking Beef, a Vietnamese dish featuring cubed filet mignon. I loved it so much! We stopped by Guacs to check out their awesome tostadas, tacos and aguas frescas! At this restaurant, we were able to customize anything we want on our items, which was pretty fun. We got al pastor, carne asada, and carnitas tacos and had them shaped into a flower. We also got a tostada, which came with an egg. It was super crunchy. The absolutely best part of this experience was that the aguas frescas were in slushie form. We were able to mix and match flavors in our cup and they were so refreshing! 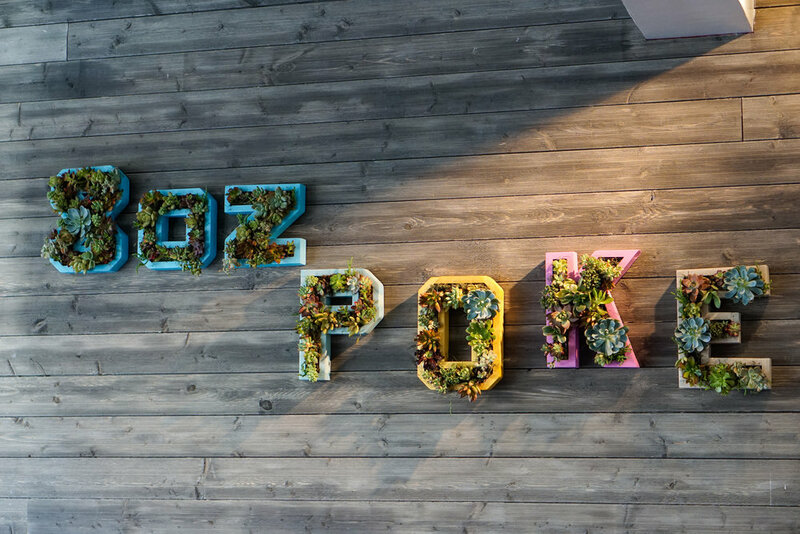 8oz Poke invited me to check out this new restaurant on Melrose Ave. Their ingredients were very fresh and their menu offered a lot of options to create your poke bowl your way. For example, I got a poke with wonton chips as my base and I made sure to get a variety of different sauces and toppings. I enjoyed the ambiance and decor here. The walls were wooden and there were succulent plants throughout the restaurant and outdoor seating area! As a big fan of the TV show, “Fresh Off the Boat”, I was very excited to check out Baohaus in Chinatown. The shop was small but gave a very trendy vibe with its decor and the hip hop music playing. We were invited to try their Cheeto Fried Chicken Bao. It was pretty unique and looked very vibrant! The bao was good, and I enjoyed the sauces and slaw that came with it. We ordered some taro fries that I had seen in pictures, and they came with a spicy sauce, so these were worth the try! The Mad Dumplings was primarily in Orange County so I scheduled for a time that our schedules would align, which happened to be the day of the Meat Street festival in Santa Ana. 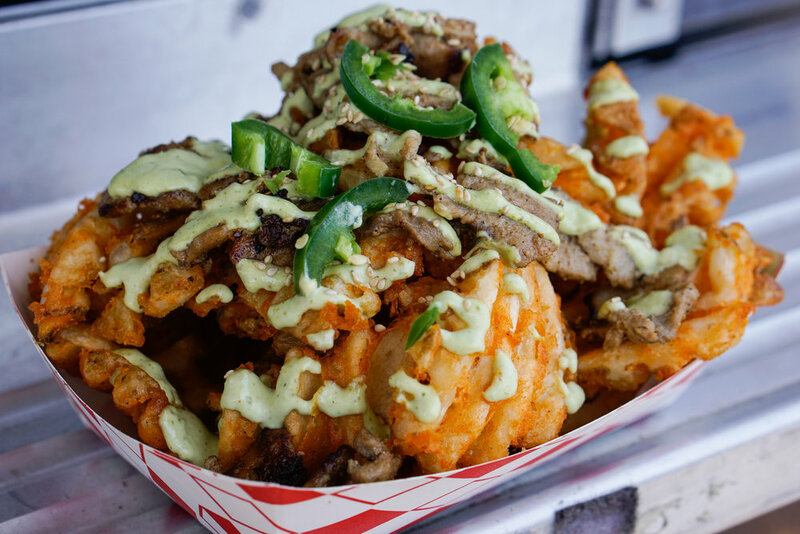 We stopped by the truck to try the Pork Belly Waffle Fries, Longanisa Dumplings and Spam Folder. While the theme of the festival was supposed to be spam, I enjoyed the Pork Belly Waffle Fries the most! I also loved the concept of fried dumplings using a Spanish sausage called longanisa.. This was a great experience! 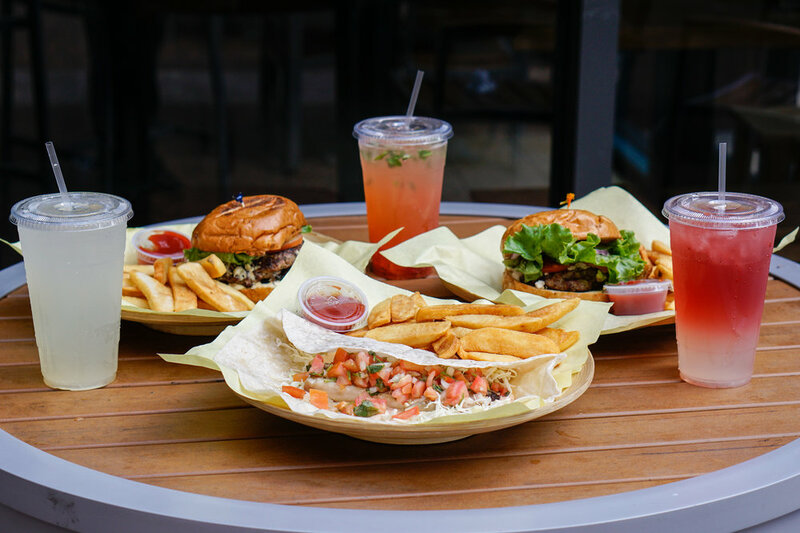 We came to try their Lobster Grilled Cheese as well as some other fun items, such as their OMG Style Taco and Cabo Style Taco. I loved that a lot of the entrees came with generously-portioned sides, such as brussel sprouts, garlic rice, sweet potato, and cauliflowers. The brussel sprouts and cauliflower were seasoned with lemon and sea salt, which were very unique. The tacos were very delicious, and we were able to customize the type of fish in each taco. The highlight of this meal was, of course, the Lobster Grilled Cheese. I had never had one before and this was truly an amazing sandwich and overall meal! We were invited to check out Madera Kitchen for either nighttime or brunch. Since I love brunch, I chose the latter. The patio seating was so beautiful, and with plenty of fun decor and photo opportunities in every corner. We started out with two brunch cocktails, a Frozen Mimosa and a GM75. For appetizers, we got Crispy Red Potatoes and Bacon Flatbread, which had a goat milk cheese on it. For entrees, we got Crab Benedict, NY Steak and Eggs, and Blueberry Pancakes. All of the food pretty much came out all at once, so it was hard choosing what food to take pictures of first since everything was so appetizing and photogenic! I would highly recommend people to come here for brunch! It was so exciting to me that Ritter’s Steam Kettle Cooking had opened in the San Gabriel Valley! I love Creole food so I was really looking forward to checking out the menu. We started with Bacon Wrapped Shrimp and House Oysters. For appetizers, we got the Pan Roast, Etouffee, House Oysters, Soft Shell Crab and Catfish Po Boy Sandwiches. The Pan Roast was the most impressive and memorable; I got it with shrimp, crab, clams, lobster, chicken and sausage. We ended our fantastic meal with Beignets and Banana Bread Pudding! 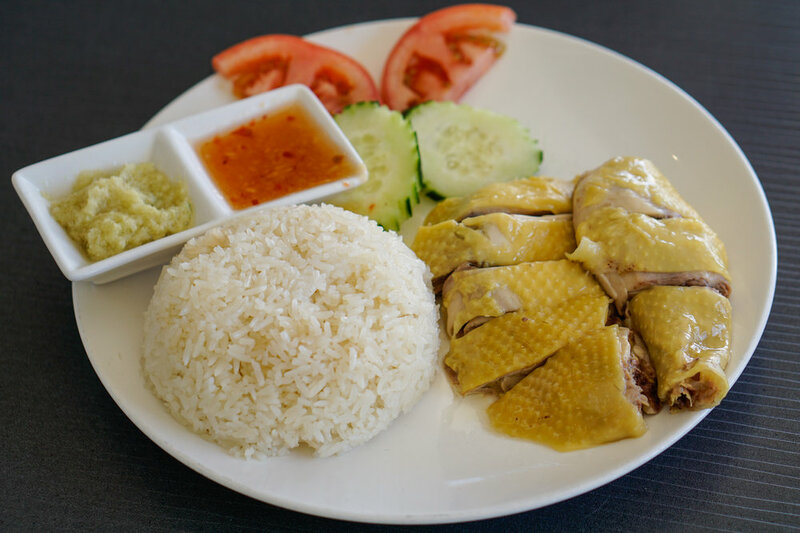 I did not know such a cool restaurant existed in Lawndale! We got the Fully Loaded Michelada that everyone had been talking about, which is a michelada topped with two sliders and bacon wrapped shrimp. It was definitely one of a kind; it was an entire meal in itself! In addition, we got some Mac & Cheese Poppers, Sloppy Joes with Sweet Potatoes, Mac & Cheese with Bacon, Al Pastor Burger. The Sloppy Joes were so delicious and unique since it was made from turkey, and I absolutely loved the Mac & Cheese Poppers! I won! Organics wanted to share with me their organic protein chips. The flavors I got were Original, Sriracha and Cinnamon. My favorite flavor was Sriracha. It was fun arranging them in some fun dishware I had kept in the closet but never used! 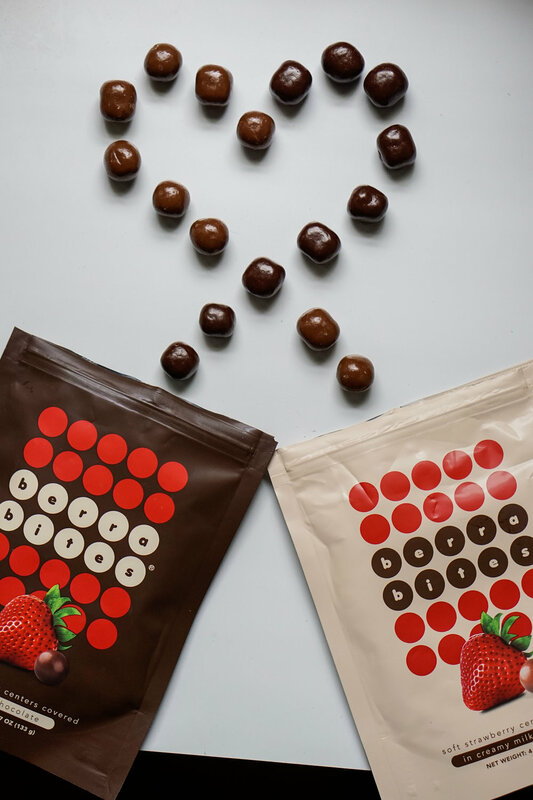 Foodie Tribe and Berra Bites, a company started by three college students, wanted to share their passion for the sweeter things in life by sharing with me some chocolate bites with strawberry centers. They came in milk or dark chocolate and were so delicious and made an excellent snack. It was like eating freshly dipped chocolate-covered strawberries! 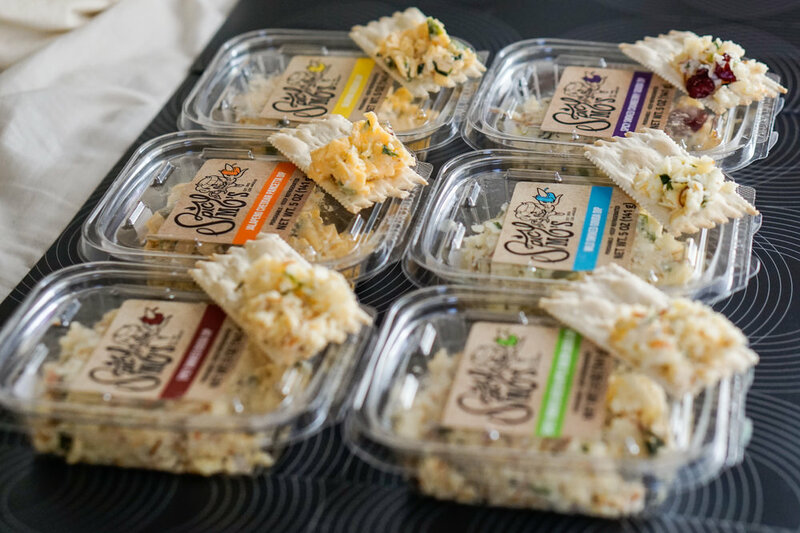 I was so excited to work with Spicy Mo’s, a company that creates artisan cheese blends and dips that are sold at Whole Foods Markets in Los Angeles and Orange County. I had fallen in love with their products last year after trying them at a Whole Foods Market, so I was so happy to represent a brand I already support. They sent me a great variety of different cheeses, so it was a great experience trying all of the new flavors they had.